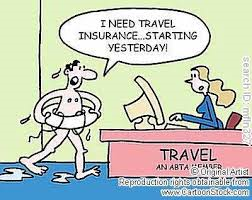 In my 20+ years of experience being a Travel Agent I am still baffled as to why people feel they don`t need Travel Insurance. Come on people…not everyone is rich enough to pay a huge medical bill if while on holidays something happens. And just because you are healthy doesn`t mean you might not get hit by a car, or fall down at a resort and break your leg! So I shake my head and start the process of telling them how very important it is to at least buy Health Insurance. Cancellation is a whole other process to convince people to get. 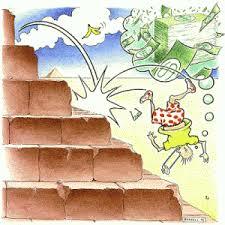 There are 3 plans that you can look at buying when purchasing Insurance for travel. The Deluxe Plan, Trip Cancellation/Trip Interruption and Health insurance. Ideally the Deluxe plan is by far the best. It covers you for Health, Cancellation/Trip Interruption, Air Accident, and Baggage. Some insurance companies also cover Cancel for any reason. The Cancellation/Trip Interruption plan will cover you for cancelling before you go on a trip, and if you are on your trip the trip interruption will cover you should something happen while on holidays and you have expenses like a first class ticket home because you need that, hotel and transportation expenses while down there. When I am talking to people about the Cancellation I ask them one direct questions. “Can you afford to lose all the money you put out for this vacation if you have to cancel” Simple. It’s a personal opinion on cancellation as a lot of people feel it’s a waste of money. Well people, it’s a waste of money if you don’t have to cancel! Health Insurance Plan – This covers health issues while on holidays. If you get ill while on holidays, it will be covered as long as it’s not a pre-existing condition. If you are pregnant, and something happens pertaining to your pregnancy, it could be considered a pre-existing condition. Just one example. Examples of claims I have had – A young man went to a wedding in the Dominican. He jumped into a pool and broken his leg VERY bad. 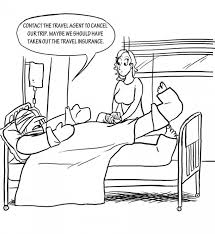 He had always told me he didn’t require travel insurance. Lucky for him his dad was going on he same trip and paid for his insurance to make sure he was covered. Lucky his Dad had some sense. Another example – a lady went on a cruise to Alaska. She slipped on the deck and broke her hip. Luckily she had insurance. And just a little note regarding drinking alcohol or doing drugs on holidays. Your travel insurance will NOT cover you if you are drunk or High. Please remember that! I will never stop stressing how important Travel Insurance is. Please keep that in mind when you go to book a Vacation.